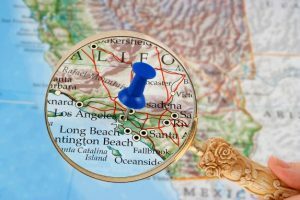 Sometimes, in an attempt to maximize web traffic, small- and medium-sized businesses get so caught up in reaching wider markets that they overlook a growth market right under their noses — their own local prospects. Right now, there are probably hundreds, even thousands of people in your geographic area who are seeking a product or service you provide. This is true for B2B enterprises, as well as B2C, and believe it or not, you can tap this market by using local search. GPS and mobile technologies have come of age, and together they are driving the development of software applications that can get a prospect in your door within minutes of his search query. Suppose, for instance, that I’m on a business trip in an unfamiliar city and need to take my client to a nice, yet not too expensive, restaurant. A quick search of Google Places or Yelp will not only identify multiple options for me, but will also give me directions to those nearest my hotel. Or maybe I’m driving the kids to school when I recall that today is our turn to bring snacks — and they have to be gluten-free. A search for “gluten-free bakery in Dallas” could route me to your shop, AND let me know that you are open at this early hour of the day. But here’s the sticking point: the technology can do that only if you have everything in place for your business to be found. 1) Have Accurate Online Business Listings. Similar to the Yellow Pages in an old, printed telephone book, there are many sites that list services, companies and facilities in a given geographic area. Your business could be listed already, and you may not even be aware of it. This is an opportunity for you to take control of how your company is presented on these third-party web pages, most of which are eager to have you claim your listing — for free. Do yourself a favor and run a free report at Local Site Submit. 2) Manage Your Reputation on Review Sites. Websites such as OpenTable, TripAdvisor and Insider Pages encourage customers to write reviews of the companies they do business with. Check to see how your business is reviewed and take action to respond to customer complaints (or praise, for that matter). You can use Local Site Submit for this too. 3) Optimize Your Website. Identify the words that customers use in searches related to your business and include them strategically in your site’s content. This and other SEO activities help ensure that potential customers discover your company because it appears prominently in their search results. 4) Use Social Media. Social media platforms such as Facebook, LinkedIn and Twitter offer good opportunities for you to engage with customers and prospects. Building relationships on the social media used by your target audiences helps create new business and keep current customers coming back. 5) Track Your Performance. There are lots of good applications for tracking the performance of your website, referring sites, social media posts, email offers and content downloads — and many of them are free. In addition, you’ll want to devise ways to assess conversions, that is to estimate how many of your customers found you through local search. Sometimes, it’s as simple as asking them. Once you know how you’re doing, you can fine-tune your tactics to get even better results. In my next post, we’ll discuss online business listings in detail and I’ll tell you how to use these free opportunities to maximize your marketing impact. Getting found online is essential to business success in today’s world! Great post for everyone to read and implement.